Studio Blog: DVD Box Sets Now In Stock! Everybody loves curling up on the sofa with a cup of tea and a DVD box set. It’s the perfect way to waste away a lazy Sunday or a rainy day! With the summer holidays approaching, many of us are staying in to save money, and what better way to spend an evening at home than with a box set of one of your favourite TV shows or movies? We’ve got over 100 new box sets in stock with something to suit every taste. Whether you’re looking for sci-fi, comedy, fantasy or drama, the new 24studio DVD range has got you covered. HBO’s award-winning adaptation of George R.R. Martin’s epic medieval fantasy novel series, ‘A Song of Fire and Ice’ has been, without doubt, one of the most popular TV dramas of the last few years. The story follows the battle between the noble families of the Seven Kingdoms and their attempts to seize the Iron Throne. With some terrific special effects, top-notch acting, and intense battle scenes, Game of Thrones will captivate you, enthral you and make you yearn for the next season. Brought to you by Sir David Attenborough and the rest of the team behind Planet Earth and Blue Planet, Frozen Planet documents the most stunning and powerful regions on Earth; the Arctic and Antarctic. 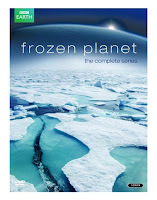 Filmed on land, in the air, underwater and below the ice caps, Frozen Planet captures a vast range of wildlife as they attempt to survive in the most brutal of conditions. Emperor penguins, killer whales and polar bears are just a handful of the beautiful creatures seen on the programme. Many cynics believed that J.R.R Tolkien’s epic fantasy novels could never be transferred to the big screen, but Peter Jackson managed to do it, and very successfully too. 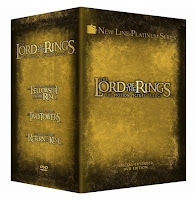 The Lord of the Rings is often cited as the greatest movie trilogy of all time, as there are no weak links. Each movie is fantastic. The extended versions provide almost 2 hours of extra material, helping to bridge any gaps between the films and offering a greater insight to certain character’s relationships with each other. For big movie buffs and fans of the novels, the extended trilogy will definitely tie up any loose ends that were left by the original films. When 24 burst onto the screen back in 2001, everybody was blown away. Nothing like it had gone before. The tension, the plot and the characters were unsurpassed and continued to take people’s breath away all the way through to 2010. 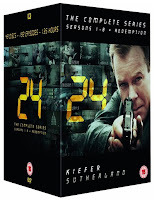 In 24, we see Emmy Award® winning actor Kiefer Sutherland portray counter-terrorism agent, Jack Bauer, a rogue whose unorthodox methods continually pit him against his superiors. Each 24 episode season represents a day in the life of Jack and each episode covers an hour in that day. 24 may have finished, but it still remains one of the most talked about TV dramas of all time. Produced by Steven Spielberg, the Back to the Future trilogy is the ultimate family movie experience. The 3 films see Marty McFly (Michael J. Fox) and Doc Emmet Brown (Christopher Lloyd) team up for a hilarious time-travelling adventure in which they attempt to alter the events of both the past and the future. In the first film, Marty gets stuck in 1955 and puts his own future at risk by accidentally preventing his parents from meeting up for the first time. In Part 2, Marty, with the help of Doc Brown, travels 30 years into the future to prevent his children from going to jail, and in part 3, Marty must travel back to the Wild West to save Doc Brown’s life. The greatest actor of all time? Many people seem to think so. From portraying a lonely and mentally unstable war veteran in Taxi to Driver, to playing a hard-hitting gangster in Casino, there doesn’t seem to be a role that De Niro can’t play perfectly. He won an academy award for his role in Raging Bull in 1980 and has been nominated for countless more awards for other movies. 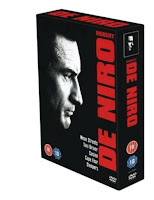 This incredible 5 disc box set contains some of De Niro’s most notable work: Mean Streets, Taxi Driver, Casino, Cape Fear and Sleepers.